Saving is income not spent or deferred consumption. 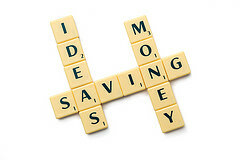 Saving involves reducing expenditures such as recurring costs in terms of personal finance. It is the first step to achieve your financial goal. It may be to purchase a car, a down payment for your first home, vacation, or retirement. If you are like most people, life gets in the way of saving for retirement. Make saving a priority and find money to save! Before you give me an excuse why you cannot save, make it automatic! If you set up a payroll deduction, the money will automatically go to your savings or money market account. Are you saving for a major purchase or retirement? For as little as $15 a day and an average rate of return of 6.5%, you can accumulate one ($1,000,000) million dollars in forty (40) years! Four hundred fifty ($450) dollars is just eleven (11%) percent when you are earning fifty thousand ($50,000) dollars. Can you handle it? Making saving a priority means making better choices with your spending. If you are like most people, you spend money because you want to own things that are not really necessary. Your necessary expenses are food, water, clothing and shelter. What do you really need in all of these categories to sustain life? You may never dine out and still spend a great deal of money on groceries. 9-12% of your income for groceries is average for Americans. Be careful, your percentage will change based on income. Do you need to have steak every night? Choice of foods can significantly add to your grocery bill. Where you shop and what you buy add up too. You can buy bottled water or use filtered water with refillable bottles. What and where you shop for clothes will affect the price you pay too. Do you shop at discount stores or department stores? A tee shirt quality has nothing to do with the label. You can buy a high quality shirt at a discount store and pay considerably less than a department store. The difference you save can help you achieve your financial goals. Remember, no one knows where you bought your clothes unless you tell them. If your clothes look good on you is all that matters! A little planning can save a lot of money. If you build on an investment wardrobe, more of your clothes will last longer and more interchangeable. An investment wardrobe is classic and less fashion forward, although you can find that too. Rich people mix classic and fashion to make their own statement. Housing or shelter in some cities such as New York, San Francisco or Los Angeles can be 40-50% of your income. Rent is going up thanks to supply and demand, but particularly in urban centers. How much should you spend on rent? Twenty-eight (28%) percent is a good rule of thumb. Can you find housing in a major city to meet your budget? Of course you may have take a small space or a roommate to get there. It may be worth spending a little more to save on transportation or some other expense. Most people consider housing, transportation insurance and child care as fixed expenses. Although food, clothing and entertainment are flexible expense, many people fall into routines that maintain a more lavish lifestyle. That lavish lifestyle can prevent saving and lead to consumer debt. Reviewing your spending through a budget is one of the best ways to take charge of your personal finances. It is much more than you tracking where you spend your money. Are there alternatives? Spend smarter! It is easy to reduce your expenses by 10%! It is much harder to spend your money better to achieve the same outcome for less! Everything is negotiable or on sale if you look. There are coupons or coupon codes for most of your purchases. Just go online and look! Plan your purchases to take advantage of sales, coupons and bulk purchases. You can take your lunch to work and save hundreds of dollars per month. Have one vegetarian meal a week, plan meals in bulk when there are sales and freeze the remainder. Planning and changing habits will achieve better results! You can live on less and save for major purchases or retirement and not feel deprived! I know because I do. I do not feel deprived at all. In fact, I live every well in a very nice townhouse (downsized 18 years ago), travel overseas every two (2) years, dine out twice a week. I make saving my priority and everything else must fit in! I replaced to seventeen year old cars in the last three years and will have them paid off in less than two (2) years from now. My saving rate is thirty-five (35%) percent, what is yours? Americans save approximately five (5% ) of their income. Yet most people do not have enough saved for retirement. Those who have savings for retirement may run out of money in retirement. Relying on Social Security is not enough for a comfortable retirement. Changing your spending habits and saving money is not that difficult, but does require making some changes to achieve your financial goals .Making saving a priority is a good start to achieving your goal! I think a great trick is avoiding lifestyle inflation. If you get a raise, you don’t spend more money, you take that extra money and save it. Thanks, I used it for years.